Initial proof on Fabriano paper with Charbonnel ink. 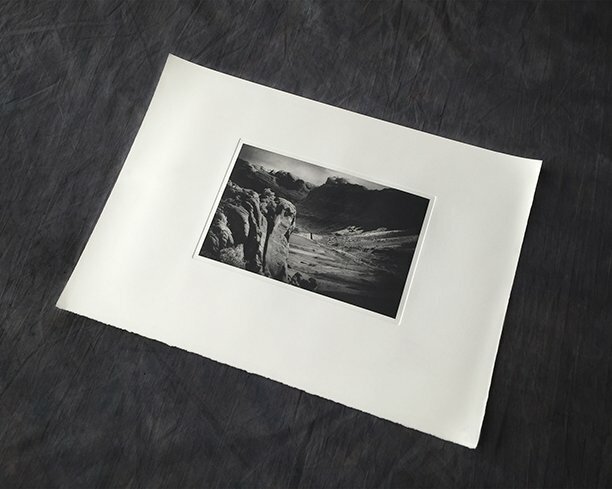 I’m kicking off the new year with a great new project for a client — an edition of 15 portfolios, each containing fifteen images photographed in the Canyonlands and Arches National Parks in Utah. 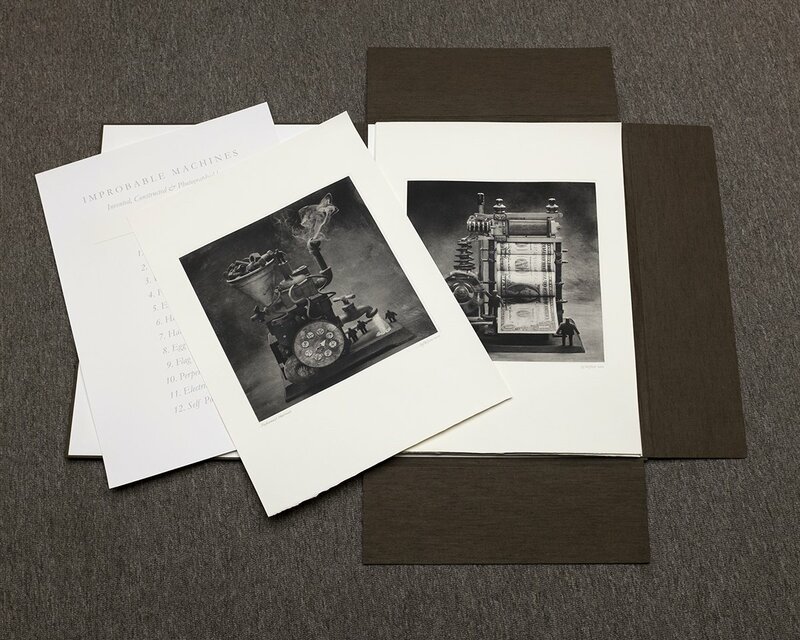 The images, approximately 11″ x 7″, will be printed in polymergravure and presented in handmade clamshell cases. 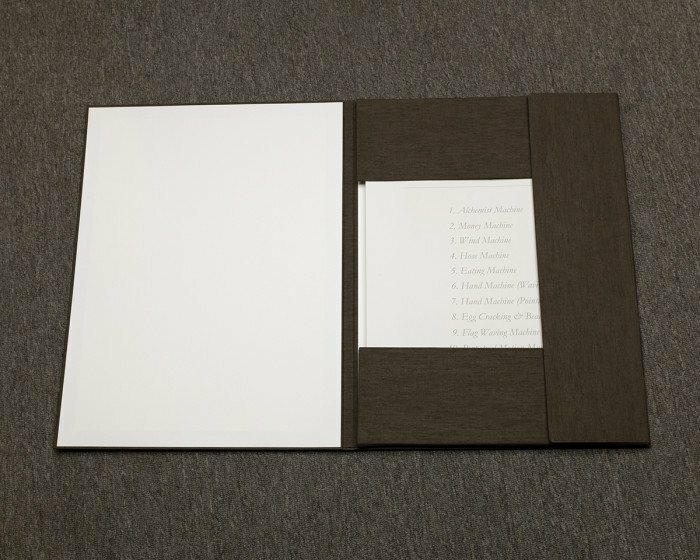 A 3-flap portfolio in brown Canapetta book cloth with Fabriano paper endpapers, containing a suite of 12 polymergravure prints and a colophon, for photographer Cy DeCosse. 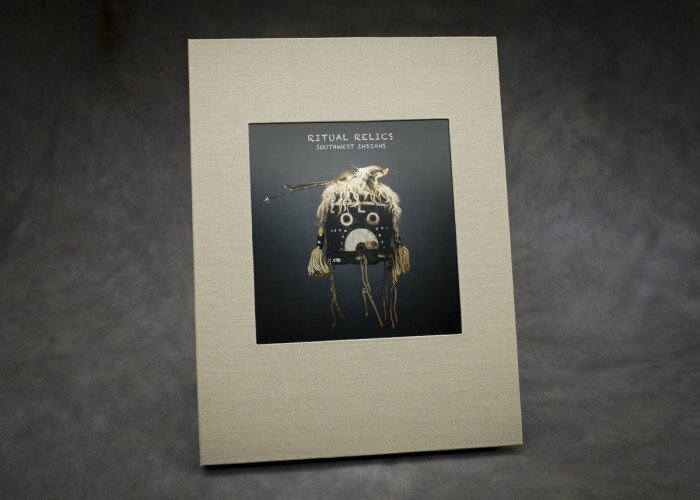 Portfolio size: 20.50″ x 15.25″ x 0.75″. Image size: 11″ x 11″ on Hahnemühle paper. I’m getting ready to ship this newly finished project to a client in Tucson, AZ. 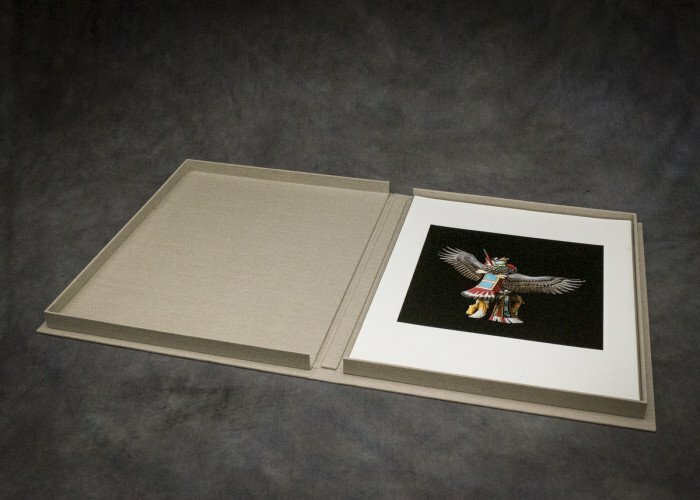 A clamshell portfolio case containing 17” x 22” prints of Native American artifacts, covered in Japanese bookcloth and with a metal print inlaid in the cover. It weighs in at 12lbs without packing materials. Sometimes it is really nice to sit and look at books. Let’s be honest, images look different printed. You can really get a sense of how an artist sees his/her images. While we love the ease of searching for photographers and illustrators online and being able to send creatives links…there is just something more intimate about a printed portfolio. We like to take our time and talk about each book and about the individual images. We discuss the pagination, composition, consistency, palette, last night’s date, weekend plans, printing quality… you get the idea.